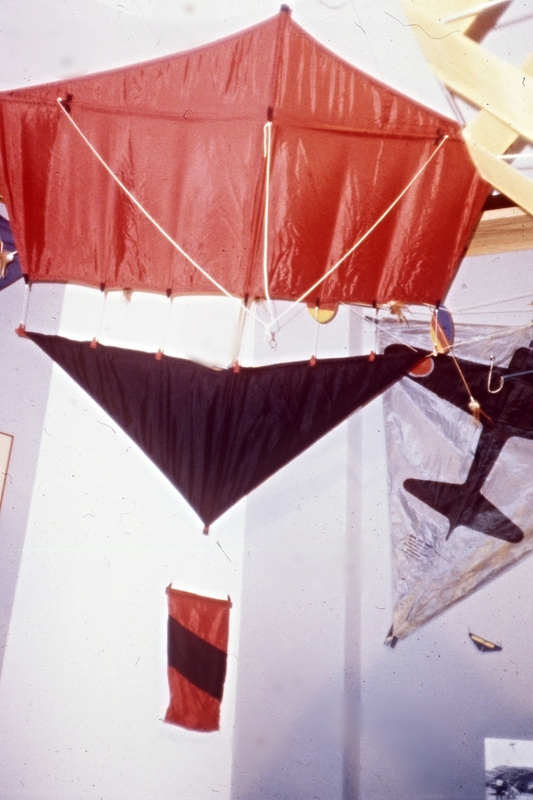 This exhibition presents a comprehensive history of kites. The collection includes a diverse group of kites and accompanying introductory panels written by many well-known authorities. 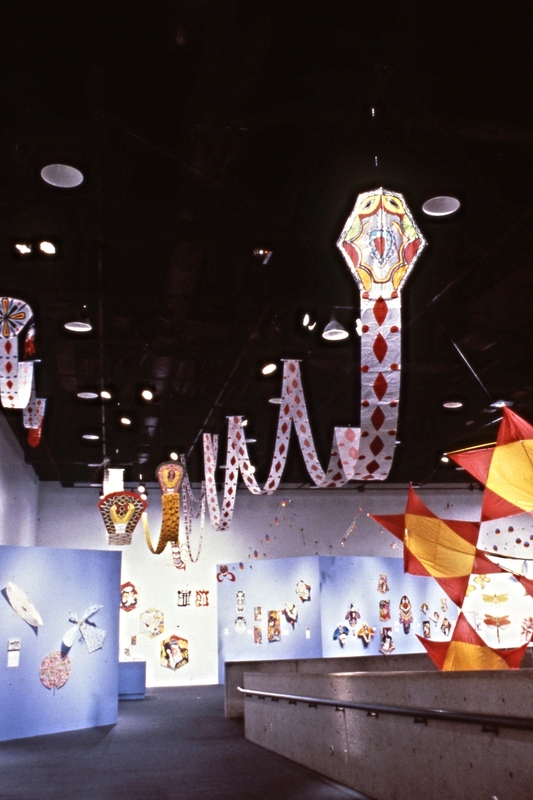 Highlights include the "Origin of the Kite" with text panels by Will Yolen, founder of the International Kite Flyers Association; a selection of Oriental kites; a group of kites from many countries around the world; and "Flying Fantasy," a group of kites of special interest to children. 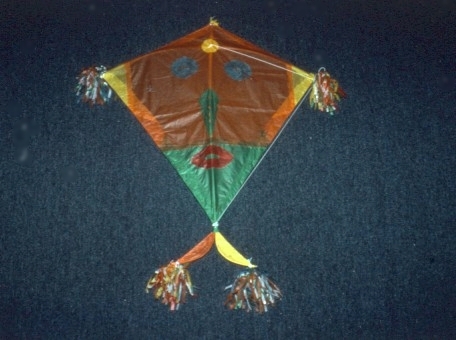 Kites vary in size from tiny to large. The centipede by Li Shang-Pei, grand kite master in Taiwan, is one of the larger display items and is sure to capture the fancy of young and old alike. Additionally, the expertise of Dave Checkley, H.B. Alexander, Wayne Hosking, Domina Jalbert, Al Hartig and other notable authorities, who have written the accompanying educational panels, lends a richness and scope to this colorful exhibition.